TORONTO, May 10, 2018 /CNW/ – Franklin Templeton Investments Canada today released its 2018 Retirement Income Strategies and Expectations (RISE) survey, which found that the often overlooked generation X is struggling to save for retirement. Surprisingly, over a quarter of Canadian gen-Xers haven’t saved anything for retirement, though there are still more retirement savers among them than in the US, where over a third of American gen-Xers haven’t contributed anything towards their retirement nest egg (28 per cent versus 37 per cent). Perhaps this could be why more than half of North American gen-Xers would consider retiring later than planned if they do not have enough income (56 per cent in Canada and 59 per cent in the US). Even millennials who are likely decades away from retirement would consider retiring later, with over half of North American millennials open to pushing out their retirement timelines (51 per cent in Canada and 54 per cent in the US). This reliance on retiring later is concerning as nearly a quarter of North American retirees actually retired earlier due to circumstances beyond their control, like health issues and company downsizing (23 per cent in Canada and 22 per cent in the US). Canadian gen-Xers, who do not maximize or know their annual contribution limits in all of their registered accounts, say they cannot save more for retirement because nearly half (47 per cent) claim their income is too low and over a quarter (29 per cent) say their expenses are too high; while nearly a quarter (24 per cent) have prioritized paying down debt. Almost half (46 per cent) of Canadian gen-Xers have a mortgage and over a quarter (28 per cent) are renting their place. Yet, even with an ability to rely on housing market gains in many cases, it is still shocking that one-fifth (20 per cent) of pre-retiree baby boomers have saved nothing for retirement. This could be why nearly three quarters (74 per cent) of them are stressed and anxious about their retirement savings and investments. As the generation most concerned (88 per cent) about retirement expenses, gen-Xers’ top concern is paying for lifestyle expenses (23 per cent) in retirement. Their second highest concern is paying for medical and pharmaceutical expenses (21 per cent) in retirement, but over half (59 per cent) do not know how they will pay for those expenses. For millennials, lifestyle also ranks as the top concern for over a quarter (27 per cent) of them and paying off debt (22 per cent) is their second highest worry. Nearly two thirds (65 per cent) of Canadians experience stress and anxiety when thinking about their investments. Yet, Canadians who have never had an advisor are much more likely to have some kind of stress and anxiety compared to those who currently have advice (71 per cent versus 56 per cent). Those who have never had an advisor are four times more likely to experience significant stress and anxiety about their retirement savings, than those who currently have one (16 per cent versus 4 per cent). One aspect that holds true across generations is the correlation between working with a financial advisor and saving more for retirement. Canadians who are not retired and have an advisor are three times more likely to have saved over $100,000 for retirement, than those who currently do not have one (49 per cent versus 16 per cent). When asked if they have a strategy to generate income for retirement that could last thirty years or more, those with an advisor are over twice as likely to have a strategy compared to those who have never had advice (72 per cent versus 32 per cent). Nearly half (48 per cent) of millennials haven’t saved anything for retirement. Over a quarter (28 per cent) of millennials live with their parent(s) or their spouse’s parent(s). 47 per cent of millennials, who do not maximize or know their annual contribution limits in all of their registered accounts, claim their income is too low to save for retirement. Twice as many pre-retiree baby boomers expect that the government pension will be their primary or secondary source of retirement income compared to millennials (40 per cent versus 19 per cent). Over half of pre-retiree baby boomers would retire later if they had to, but when faced with the reality of that choice, only one third of retired baby boomers actually did leave the workforce later due to insufficient income (52 per cent versus 33 per cent). Twice as many retired people are relying on a government pension as their primary and secondary source of retirement income, compared to pre-retirees expecting to rely on it (51 per cent versus 25 per cent). Nearly twice as many retired baby boomers are relying on a workplace pension plan as their primary source of retirement income, compared to pre-retiree baby boomers expecting to rely on it (39 per cent versus 21 per cent). Over a quarter (27 per cent) of pre-retiree boomers, who do not maximize or know their annual contribution limits in all of their registered accounts, said they are prioritizing paying down debt over saving more for retirement. 41 per cent of pre-retiree women say their top concern about retirement is running out of money, compared to only 15 per cent of retired women. Over a quarter of those newly retired (one to five years into retirement) said their expenses increased since they retired; yet this increased as people aged because over a third of those 11 or more years into retirement said the same (27 per cent versus 38 per cent). Twice as many Ontario and Quebec residents haven’t saved anything for retirement, compared to Manitoba residents (31 per cent each versus 15 per cent). 55 per cent of Alberta residents did or would consider retiring later due to insufficient income, compared to 40 per cent of Quebec residents. Saskatchewan residents are most concerned about running out of money in retirement and both Alberta and Quebec residents are least concerned (39 per cent versus 28 per cent each). British Columbia residents are most concerned about health issues in retirement and Saskatchewan residents are least concerned (35 per cent versus 19 per cent). Quebec residents are most concerned about lifestyle expenses in retirement and Atlantic Canadians are least concerned (27 per cent versus 17 per cent). The 2018 Franklin Templeton Investments’ Retirement Income Strategies and Expectations (RISE) survey was conducted online among a sample of 2,009 Canadians and 2,002 Americans. The survey was administered from January 17 to January 28, 2018, by ORC International’s Online CARAVAN®, which is not affiliated with Franklin Templeton Investments. Data is statistically weighted by age, gender and geographic region in Canada and age, gender, geographic region, education and race in the U.S. The custom-designed weighting program assigns a weighting factor to the data based on current population statistics from the US Census Bureau and Statistics Canada. 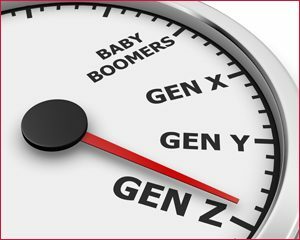 Generational groups in this release are defined as: millennials (ages 18 – 36), generation X (ages 37 – 52), baby boomers (ages 53 – 71) and the silent generation (ages 72 – 88). Franklin Templeton Investments Corp. (known as Franklin Templeton Investments Canada) is a subsidiary of Franklin Resources, Inc. [NYSE: BEN]. Franklin Resources, Inc. is a global investment management organization operating as Franklin Templeton Investments, which provides global and domestic investment management to retail, institutional and sovereign wealth clients in over 170 countries. Through specialized teams, the company has expertise across all asset classes – including equity, fixed income, alternative and custom solutions. The company’s more than 650 investment professionals are supported by its integrated, worldwide team of risk management professionals and global trading desk network. With offices in over 30 countries, the California-based company has 70 years of investment experience and over US$732 billion (C$990 billion) in assets under management as of April 30, 2018. For more information, please visit franklintempleton.ca. Connect with Franklin Templeton Investments Canada on Twitter, YouTube, Facebook and LinkedIn, and read the Beyond Bulls & Bears blog featuring perspectives from Franklin Templeton investment professionals around the world.